This is the first in a series of six updates to give you a look at the rest of the NHL this off-season. We will start with the Northwest Division in an effort to shed some light on those teams out West. At the end of each summary we will highlight just one blog for that respective team, but there are many quality sites out there if you care to search for them. Please share your comments on the rest of the teams across the NHL as we fill the void of the off-season. Recap: After a disappointing 10th place finish in the Western Conference, the Flames look to get back into the playoffs this upcoming season. They finished 4-5-1 in their last ten games, but most fans counted them out before that. The team seemed to be the Maple Leafs of the Western Conference as a few ex-Leafs were expected to carry a big part of the load for the Flames down the stretch. Jerome Iginla led the team with 69 points. 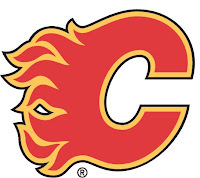 Off-season Thus Far: The Flames have had the most puzzling of all off-seasons in the NHL. General Manager Darryl Sutter decided to get the old gang back together by signing Olli Jokinen and Alex Tanguay on the first day of free agency. Jokinen was traded to the Rangers for not meeting expectations last year, but apparently did enough in New York to warrant a new two-year contract with Calgary. This could be in reaction to the news that Daymond Langkow, the 33-year old center, is having trouble recovering from a neck injury sustained when falling to the ice after being hit with a slap shot from his own teammate, Ian White. Even two weeks after “Free Agent Frenzy” you still have to wonder how the Flames fan base is feeling. In other moves, the Flames have signed center Ryan Stone from the Edmonton Oilers. You may remember Stone as being part of the Pens organization. They also signed 6’5” goalie Henrik Karlsson out of the Swedish Elite League to back up workhorse goaltender, Miikka Kiprusoff. Recap: The Avalanche was a bit of a surprise this past season securing a playoff spot with a relatively young team. Goalie Craig Anderson captivated many with his performances in the playoffs and newcomer Matt Duchene did not disappoint. Chris Stewart and Paul Stastny led the team in productivity. Still the hope for the future may reside in the 51-save shut out performance Anderson had in the playoffs against the San Jose Sharks. Off-season Thus Far: The addition and signing of restricted free agent left-winger Daniel Winnick will give the Avalanche some depth on the penalty kill and adhere to the strategy of having the majority of the team under the age of 28. However, two big pieces for Colorado were their own restricted free agents, Brandon Yip and Kyle Quincey. Both guys are now under contract. Still one of the most intriguing acquisitions of the off-season was 2nd round draft pick, Calvin Pickard. Pickard is a promising young goaltender looking to make a name for himself at the 2011 IIHF Championships. Analysis: This team did not lose much from last year and the question that still remains is if Anderson can continue his inspired play. Stewart missed a few games due to injury last year, but if he can stay healthy and grow with Statsny and Duchene, the point production could go up. An intersquad Burgundy/White game will be held on September 20th to get an early look at this year’s team. 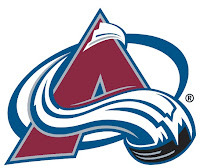 With team captain Adam Foote back for another year, you have to think that this young team has a real chance to improve off their first-round exit of the 2010 NHL playoffs. Recap: Ugh, that about sums it up. This team was dismal right out of the gate and never found a way to gain momentum. It was not hard to figure out who would earn the first pick in this year’s entry draft. A five game winning streak in early December was followed up by a seven game losing streak. Unfortunately for the Oilers, they would have many more losing streaks before the agony of the season ended. That agony was on and off the ice as new starting goalie Nikolai Khabibulin had a disappointing start to his Oiler career, suffering a herniated disk, and driving into trouble with the law and is scheduled to be in court on July 21st. Offseason Thus Far: Placing dead last in their division, conference and the entire league had its perks. For the Oilers, this meant getting highly-touted prospect Taylor Hall in the first round of the draft. Other additions include 19-year old Magnus Paajarvi-Svensson, Kurtis Foster, and Jim Vandermeer. Patrick O’Sullivan and Ethan Moreau are gone, so these young guys will have their time to shine. Still, given the Khabibulin situation, the focus turns to goal with the resigning of goalie Devan Dubnyk. If you follow the Oilers on twitter, you know they celebrated the signing with Dubnyk wallpaper. How does the Oiler fan base feel about Dubnyk possibly being the starter depending on the Khabibulin ordeal? I think Scott Reynolds says it best. Analysis: The Oilers have a new coaching staff and an affiliate organization now playing in Oklahoma City. They have a lot of young guys and, not to their advantage, an expensive aging goalie awaiting a court date. Let’s just say it feels like another long year ahead. Quick, name five guys on the team not mentioned above. Recap: The Wild had hope all year long. I doubt any other NHL team looked past the Wild as the season wore down. Mikko Koivu made sure everyone knew he was the top player in the Wild system and Guillaume Latendresse found a second life in Minnesota. However, the plus/minus numbers were atrocious for the big names. Of course this stat can be meaningless, for example, defenseman Jeff Schultz (although he did get a nice contract from his stats last year). Niklas Backstrom was solid in net but had a .903 save percentage while Josh Harding looks good when getting injured. Prospect camp is underway and they sure do eat well. Off-season Thus Far: The aforementioned Harding re-signed for one year to be the backup to Backstrom. The Wild made some nice moves by signing grinder Matt Cullen and also a young and improving Eric Nystrom. The big piece is the signing of Koivu through the 2017-2018 season. Add a two-year deal for Latendresse and the Wild look like they are making moves to compete. Oh, and they took some guy named Mike Yeo and made him the head coach of the Wild-affiliate, the Houston Aeros. You might know him. So despite the fact that you probably weren’t paying attention to the Wild, they have been doing big things. Analysis: You have to respect the Wild as a decent contender in this division. The lines could potentially be left-winger Andrew Brunette, Koivu, and Antti Mienttinen at the top with Cullen and Latendresse teaming up with Martin Havlat. Fourth line you say? Nystrom, Chuck Kobasew, and Kyle Brodziak could prove to a strong fourth line. Do the Wild have your attention yet Vancouver? Do the Wild have enough defenses to hold others off with the likes of Clayton Stoner and Nick Schultz manning the blue line? It’s a little iffy. Recap: You might know these guys – Daniel and Henrik Sedin, Roberto Luongo, Ryan Kesler (hey he’s on twitter). They played in the Olympics and all right for themselves. Henrik Sedin won the Hart. Kesler was second in the Selke voting. What did all that amount to? Well, it was an early exit from the playoffs provided by the eventual Cup champs that was considered a let down by many. They are good, real good. Although losing to the ‘Hawks was heartbreaking, they seemed to heal fast. Off-season Thus Far: It was evident after the Pens traded for the rights of defensemen Dan Hamhuis that he only wanted to play in Western Canada for the Canucks. He got his wish. Manny Malhotra came over from the Sharks and Jeff Tambellini signed a one-year deal in what could be the most underrated move of the off-season in the Western Conference. Why? Well, there is hole with Pavol Demitra signing with the KHL. Joel Perrault also came over from Phoenix in the off-season. The Canucks currently sit about $300,000 over the cap and there are many rumors swirling that defenseman Kevin Bieksa could be trade bait. It will get worse as Mason Raymond is headed for arbitration so the Canucks could be about $2.8 million over the cap. The depth on defense will make it easier to see Bieksa go, especially with Shane O’Brien re-signed and Keith Ballard coming over from Florida. Remember, they will be playing in Rogers Arena this year, in case you didn’t hear about the name change. Analysis: Despite the numbers, you have to feel that the Canucks will be in the running for the division crown again. As long as Luongo stays healthy and Cory Schneider isn’t called upon to shoulder the load, they should be just fine. They have good defensive forwards and a solid defense. Will the off-season be long enough for this team to recover from a long grind in the playoffs and Olympics? The season will tell.